UPDATED NIKON D750 SERVICE ADVISORY AS OF JULY 12, 2017. Thank you for choosing Nikon for your photographic needs. In February of 2016, we announced in an update that the shutter in some Nikon D750 digital SLR cameras manufactured between October 2014 through June 2015 may not function normally, sometimes resulting in a shading of a portion of images. Since that time, we have learned that the same issue may affect D750 cameras manufactured from July 2014 through September 2014 and from July 2015 through September 2016. For those who have already purchased a D750 and would like to have their camera serviced for this issue, free of charge, Nikon service centers will service cameras as indicated below. We sincerely apologize for any inconvenience this issue may have caused. To check whether or not your camera may be one of those affected by this issue, click the Check Your Serial Number button below and enter your D750's serial number as instructed. . If your D750 camera is one of those that may be affected, instructions for obtaining service will be displayed. If your D750 camera is not one of those to which this issue may apply, rest assured that service to your D750 camera as to this issue is not necessary and you may continue using your D750 camera without concern for this issue. The camera's serial number is the 7-digit number indicated by the red frame in the image above. If your D750 camera may be affected, as confirmed with the serial number check above, you will be provided with the necessary information to obtain service for this issue free of charge. 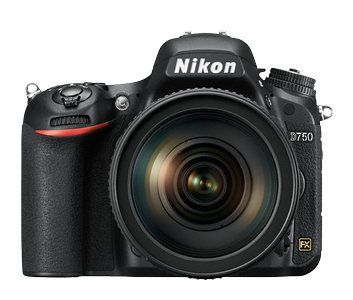 Once your D750 camera is received by Nikon, your D750 camera’s shutter will be examined and replaced, and your D750 camera returned to you free of charge, even if your D750 camera warranty has expired. We sincerely apologize for any inconvenience this matter may have caused you. Nikon will continue to take all possible measures to further improve product quality. Therefore, we hope that you will continue to choose Nikon for your photographic needs.